In 1893, the three counties of Nishi-tama, Minami-tama, and Kita-tama, which make up the Tama Area, were integrated into Tokyo from neighboring Kanagawa Prefecture. The year 2018 marks 125 years since that transfer. Through the Tama Promotion Project, also known as “Tama Hatsu! Discover Tama,” 30 municipalities are working together to disseminate the attractions of the Tama area, which offers a rich combination of abundant nature and the convenience of urban life, while also being a part of Tokyo. The “ta” in Tama means “many,” which neatly encapsulates the diverse attractions this lush green area offers in terms of the environment, tourism, cuisine, industry, tradition, history, and culture, commercial and shopping facilities and more. The project aims to make people want to visit, to live, to raise families, and to work in Tama. 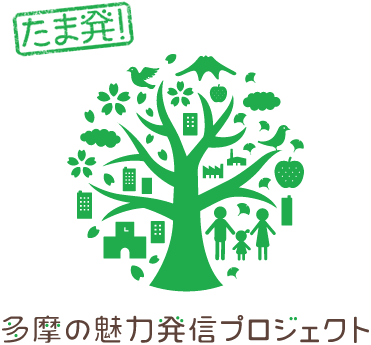 In helping people rediscover Tama, the Tama Promotion Project will shape Tama’s future.